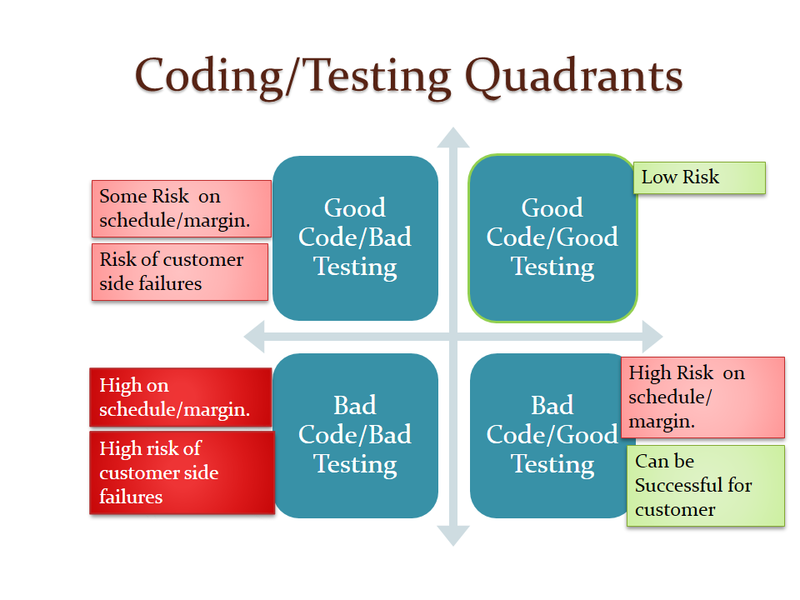 If you are in a software project, how do you assess the potential risks for a given software project ? So far I have not seen any coherent way of assessing the possible risks. Usually problems are discovered at really late the project life cycle (i.e. just before release dates) and by that time it too late to take any corrective actions. So a common problem is how to detect possible risks as early in project life cycle as possible ? However, how do you define the 'success' of a project ? Project is delivered to customer. Customer's end users are happy with delivery. Number of bugs reported are and hence your warranty costs are low. Ideally a 'successful' project should include all the above. However, many times you achieve few items out of this list. For example, Customer accepted the delivery and end users are happy with features but there are lot bugs reported and rework is high. Customer has request new features and to implement new features require lot of changes in code etc Hence your cost are high/profit margin is now low. How do you assess these kind of risks ? Last few years, I have been working on various code analysis techniques (Check my open source projects SVNPlot and TCToolkit). 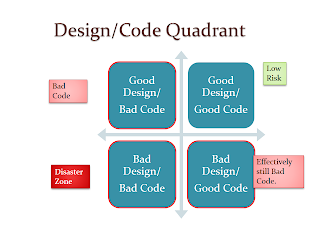 Based on my experience I am convinced that analysis of code, design, version control history etc gives you pretty good idea about the success or failure of a project. 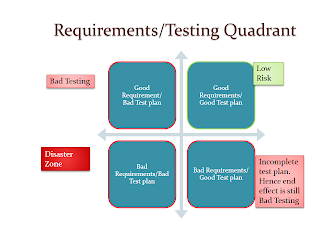 Recently I have created simple framework to assess the possible risks. Map where your project falls in each case. 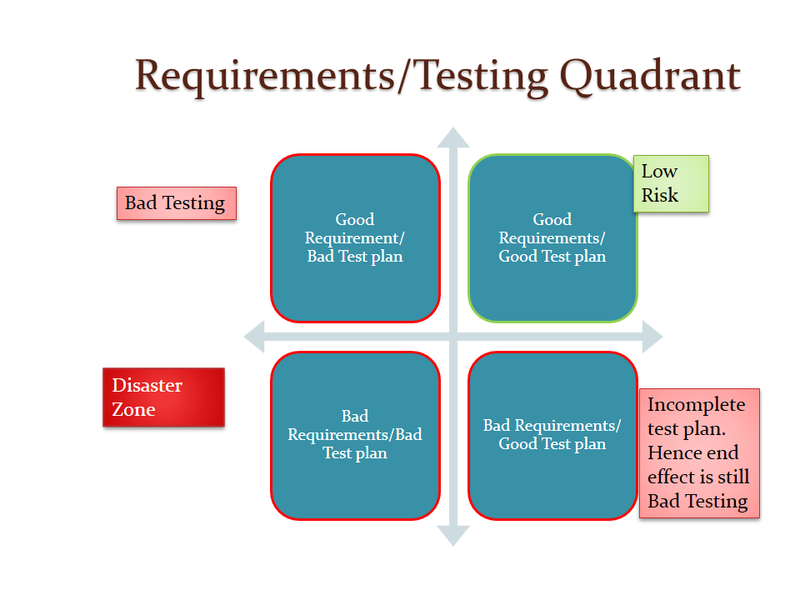 Based on which quadrants the project is mapped, will tell you possible risks for your project. 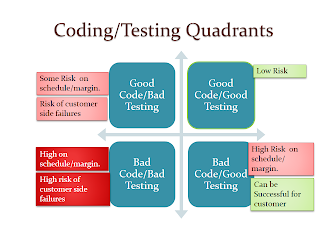 I find that based on various project metrics, if I mentally map the project to these quadrants, I get a 'rough judgement' of kind problems project will have in future.